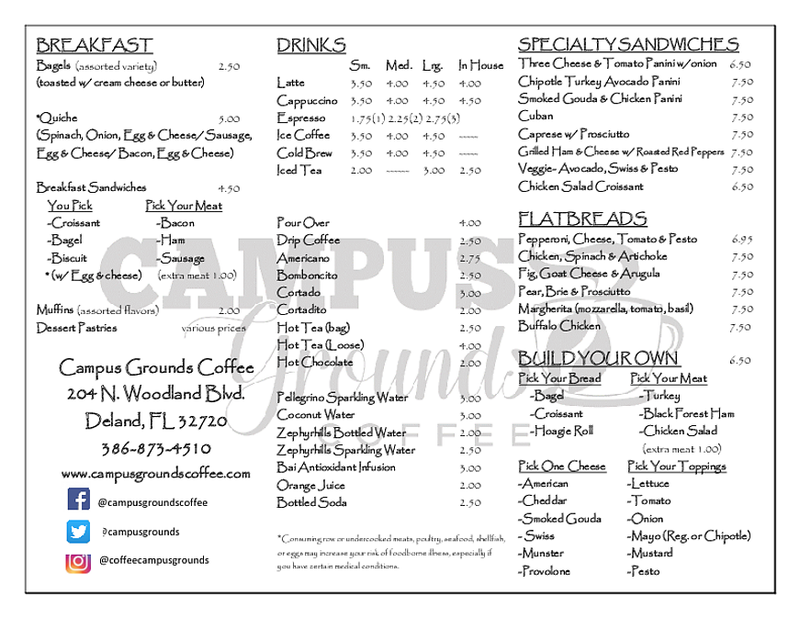 Campus Grounds Coffee is a locally owned and operated coffee shop serving great food and coffee in the heart of downtown Deland. We are devoted to offering superior quality food and coffee with a focus on the different qualities which make each bean unique. By letting the beans themselves shine through, we hope to help everyone from coffee snob to coffee novice to find exactly what they want in a cup of coffee. 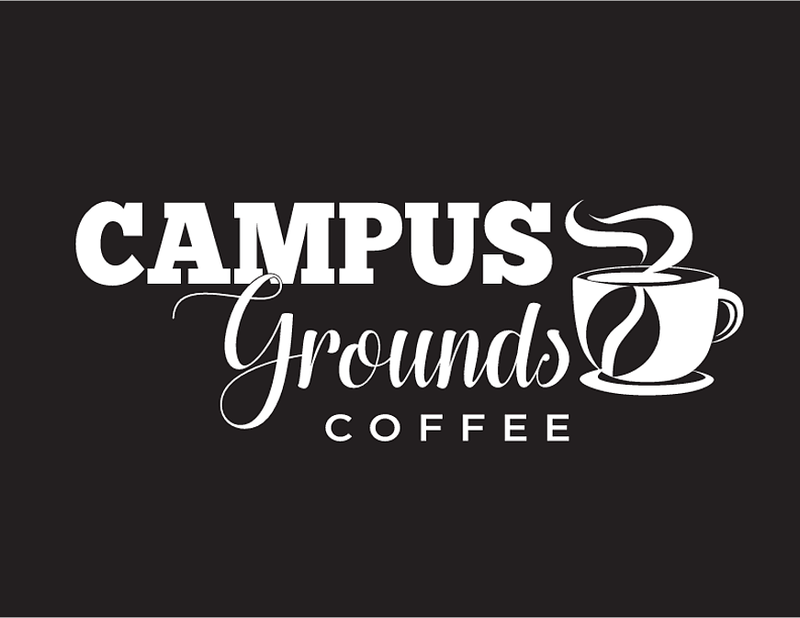 We at campus grounds believe that even those who don't generally enjoy coffee can find something they like in one variety of bean or another. Our commitment to finding everything there is to love in any given coffee bean is fundamental to our ethos as a company. We don't want to feed into the culture of frilly coffee drinks that bear not even a passing resemblance to the wonderful complex and often supprising coffee beans that went into its manufactury. Instead, we want our customers to experience, as much as possible, the amazing flavors and aromas that come along with our menu of largely single source, single varietle coffees. We Hope to have the chance to introduce you to our favorite coffees some day soon!